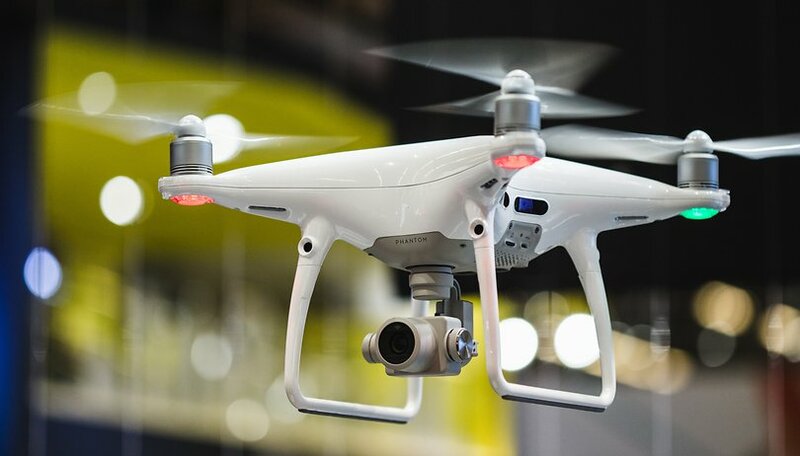 Axon, a company which sells tasers and body cameras, will now sell drones to local police departments around the country thanks to a partnership with drone maker DJI. In last week's poll, we asked whether the idea makes you uncomfortable or not. Here are the results. While it's easy to imagine ways for police to use drones to save lives and protect people, it's also easy to imagine how they could be used to invade privacy or cause harm to innocent people because of bias in the proprietary AI's data. Given that there are both potential benefits and drawbacks, we wanted to find out if you think it's worth it to put drones in the hands of police. In the poll, there were four options to choose from, two of which were quite decisive and the other two were more of a middle ground. On the far ends of the spectrum, there was an even split. 35 percent of people are totally uncomfortable with police drones and think they shouldn't be legal, while another 35 percent said they're totally comfortable with police drones for any purpose. In the middle though, more people are comfortable as long as it's limited to surveillance use, with 26 percent of the vote. Just four percent were uncomfortable with drones but think it's worth it anyway. Overall, it seems more people, 61 percent, are comfortable with police drone use, though there's a split between those who think it's only appropriate for surveillance and those who think any use is acceptable. The 35 percent who think police shouldn't be using drones at all must be pretty unhappy about this recent development with DJI, and we'd love to know what you think in the comments. Do you agree with the results? Tell us below! I always start with the observation that the piles of innnocent corpses stacked up by legitimate world governments are mountains compared to little molehills when compared with all the victims of crime and terror in recent history. So I appreciate and rely on Constitutional protections against authoritarian overreach in civilized Canada, a bit more so than in the increasingly dicey USA. That noted, drones are obviously valuable for worthy police search and rescue, emergency or violent crime response, and to be frank, overhead drones (presumably with night vision) will probably be less intrusive if they substitute for the bloody loud and searchlighting helicopters that are already popular. There's so much ordinary private and public street level camera surveillance that drones won't be adding much. Weaponizing police drones to shoot and kill is another future question, and not so easy. Now I'm more concerned about warrentless police access to telecom phone records or warrantless use of IMSI catchers and suchlike tech snooping that was constitutionally prevented on landline communications - the US Supreme Court seems to move in the right direction.